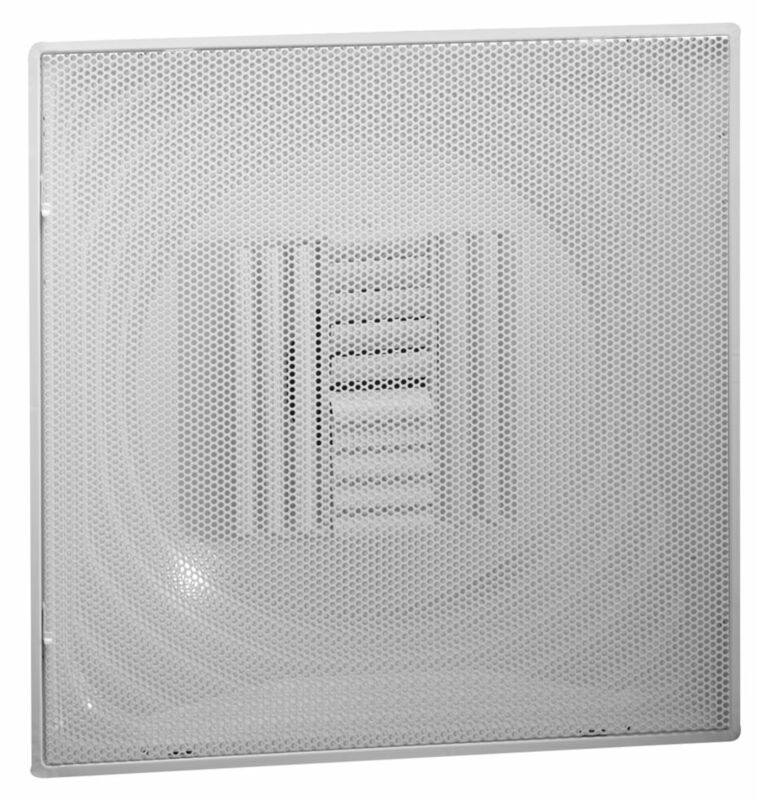 Model 1234 Removable Face round neck Perforated Diffusers. 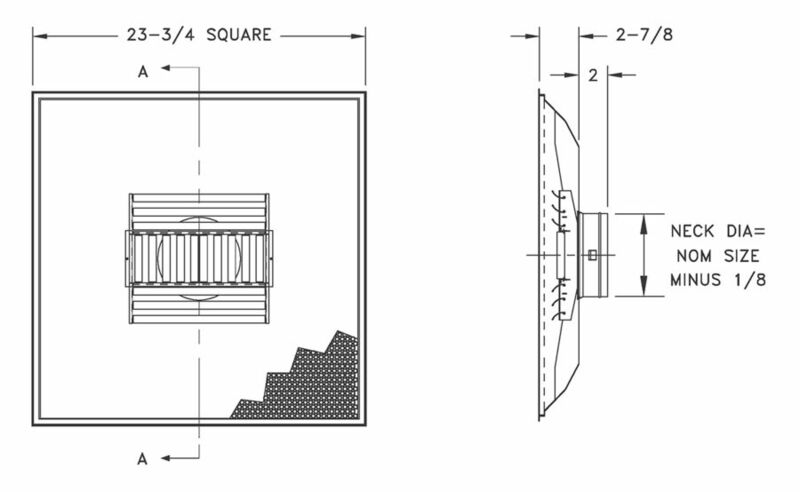 Simple adjustment of air pattern for vertical or horizontal deflection for one-, two-, three- or four-way discharge is accomplished without altering diffuser’s appearance. 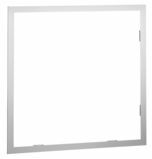 Hinged/latched face for easy access. Unique 2" high collar permits easy flex connection. White face with white back standard, or white face with black back optional.